There are many reasons to rent a storage unit. Perhaps you’re moving and can’t take your furniture or other belongings with you, maybe you’ve had to downsize and no longer have storage space at your home. Storage units are useful in many situations, but here are some things you should know, especially if it’s your first time! Climate Control is VERY Important! Climate control may not seem like a big deal to you at first, but for your items to remain in good condition, it’s essential. Climate control means that things like extreme temperature changes will not affect your items. Temperature swings and humidity can ruin items like furniture, upholstery, electronics, metal, clothing…well, pretty much everything! Before you store, make sure the unit you’re renting is climate controlled. In order to make the most of your storage unit space, and to prevent future difficulty, you’ll want to organize, organize, organize! Avoid the frustration and effort of coming to find something in your unit, and having to sift through box after box. Keep boxes clearly labelled, and use the space strategically. Stack tall objects in the back, and short in the front to give yourself a clear visual. Create a walkway through the space to make sure you can reach things. 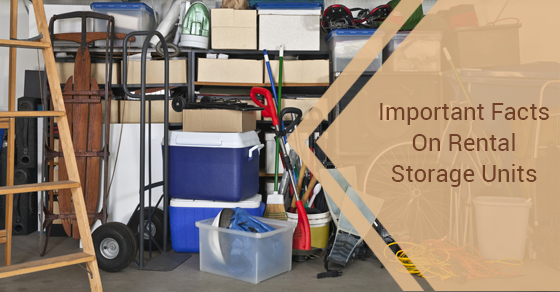 You’ll also want to keep track of what exactly is in your storage unit–you can certainly forget over time! Make a checklist before packing, and if your unit is super full, maybe create a map of where certain things are. Your future self will thank you! Things like fine art, antiques, and important documents and archives require extra care in storage. Fine art, and paper documents are highly vulnerable to mould, and mildew caused by humidity. Antique furniture can be damaged by excess moisture as well, or by sudden temperature shifts, causing materials to contract or expand. At Jiffy, we can offer premium protection for these valuable items. Contact us today to ensure that your valuable belongings are treated with the care they need. Depending where you live, floods can be more or less likely. A flood can be devastating to your storage unit, which is why at Jiffy our facilities were built with flood damage control in mind. At our facility, our ceilings and floors are protected by six inches of reinforced concrete. Our facility is also built on a high point in the land, to ensure maximum drainage. At Jiffy Self Storage, we do all we can to keep your valuable belongings safe. If you are considering renting a storage unit, please give us a call today for more information about our superior storage spaces!